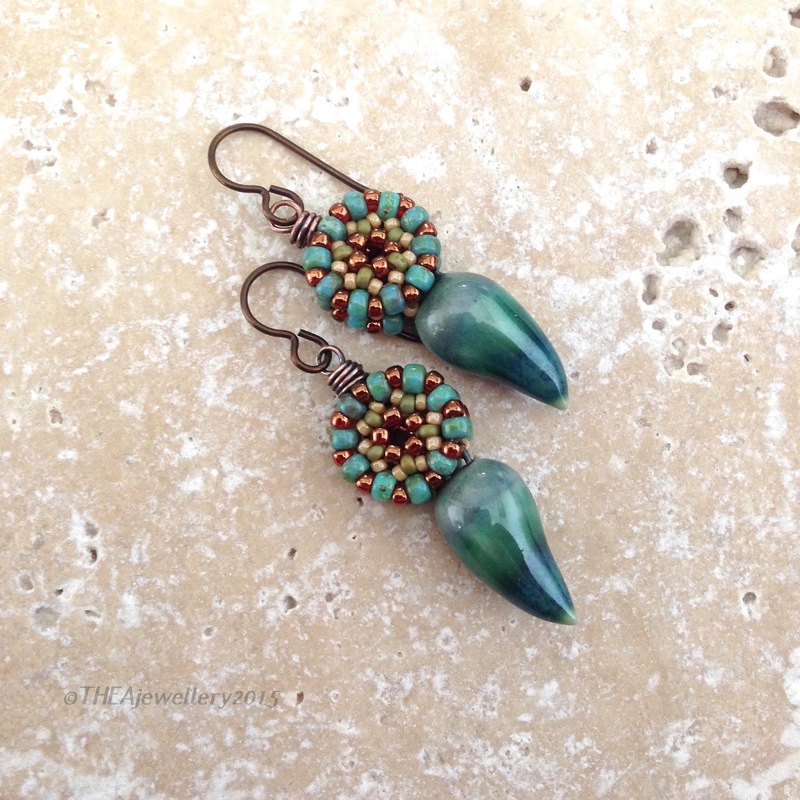 Really beautiful, I love how well you matched the colours in the first pair with Diana's drops they go perfectly and I utterly adore what you did with the tendrils on the last pair adds a wonderful organic feel! All of your earrings are beautiful. I love Sue's beads and they look great with the components you selected. So so pretty – the colors are amazing and the components you chose were perfect! So cute Lesley! I love both pairs! 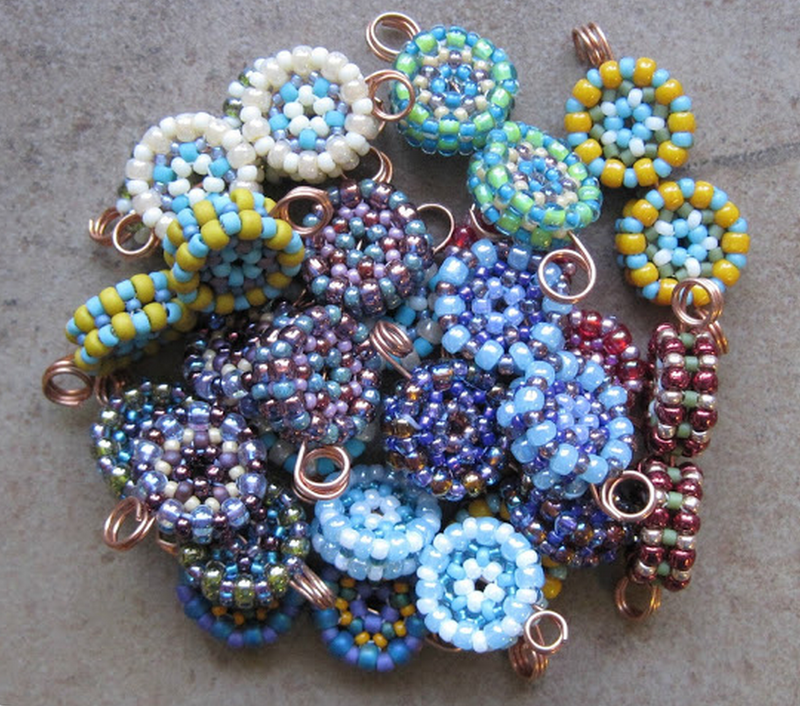 Wow, you managed to have beads that went with both of the pairs of beaded beads and they are so cute – love how you put them together! Excellent Job! All the challenge beads seem to shine with the beads you added. They all look so summery and could so be worn to a beach party! Thanks for posting. Yup – theres are awesome. Very clever with the wire. Aren't Sue's palettes just a joy?! Oooh, so nice! Your pairings with the art beads are perfection!